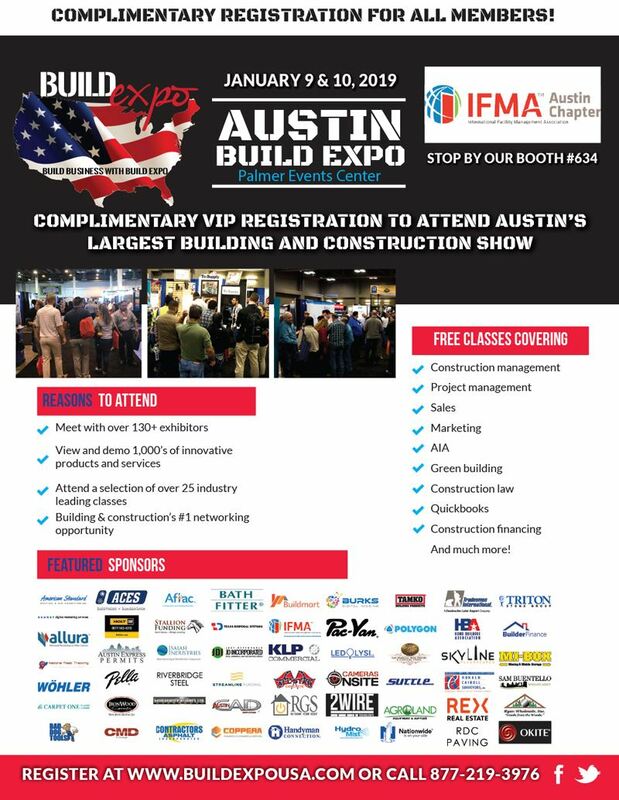 Build Expo 2019 is free to IFMA members. Register at www.buildexpousa.com. Download and print complimentary tickets here.